The Ashleigh Drop Side crib is one of the recalled models. The U.S. Consumer Product Safety Commission, in cooperation with LaJobi Inc., of Cranbury, N.J. announced the recall of over 200,ooo Graco®-branded drop side cribs made by LaJobi. The drop side hardware can break or fail, allowing the drop side to detach from the crib. When the drop side detaches, a hazardous gap is created between the drop side and the crib mattress in which infants and toddlers can become wedged or entrapped, posing a risk of suffocation and strangulation. In addition, children can fall from the cribs when the drop side detaches or fails to lock. This recall involves LaJobi-manufactured Graco® wood cribs. 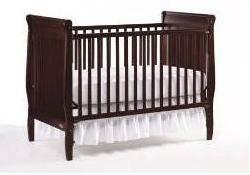 The full size cribs were sold in cherry, espresso, natural and white finishes. See more specific product information here. Consumers should immediately stop using the recalled cribs and contact LaJobi to receive a free hardware retrofit kit that will immobilize the drop side. CPSC urges parents and caregivers to find an alternative, safe sleeping environment for their baby. The CPSC also announced Thursday the recall of all Simplicity full-size cribs with tubular metal mattress-support frames. This recall includes fixed-side and drop-side cribs. These cribs pose a risk of serious injury or death due to entrapment, strangulation, suffocation and fall hazards to infants and toddlers. CPSC staff urges parents and caregivers to stop using these cribs immediately and find an alternative, safe sleeping environment for their baby. Do not attempt to fix these cribs. Click here for additional information about which Simplicity models are affected. We have something new and exciting we’d like to share with you! It’s the new Day Nursery Association of Indianapolis toolbar – once added to Internet Explorer or Firefox, each time you shop at more than 1,300 stores (from Amazon to Zazzle!) a percentage of your purchase will automatically be donated to Day Nursery Association of Indianapolis – at no cost to you (and you may even save money as the toolbar provides coupons and deals as well!). The toolbar also has a search box and each time you search the Internet, about a penny is donated to Day Nursery Association of Indianapolis. Check it out here. 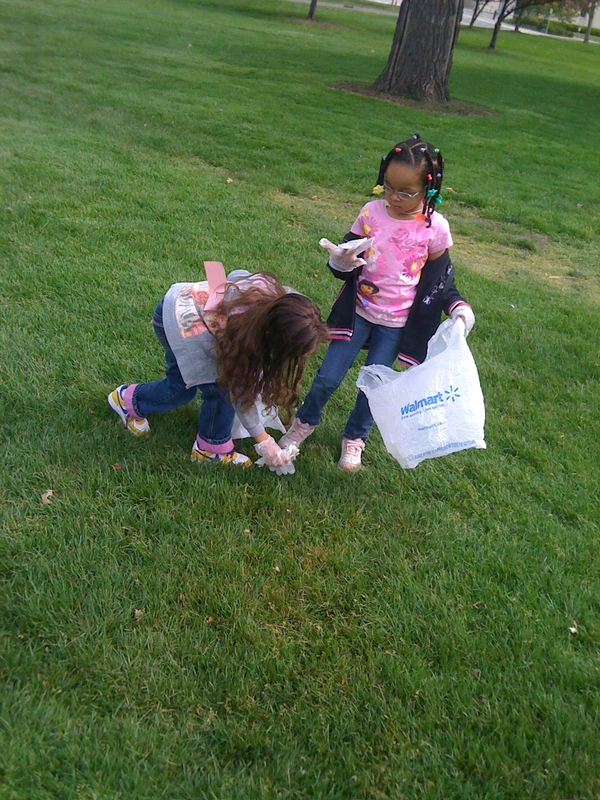 The Earth Day pictures are still rolling in from the centers. 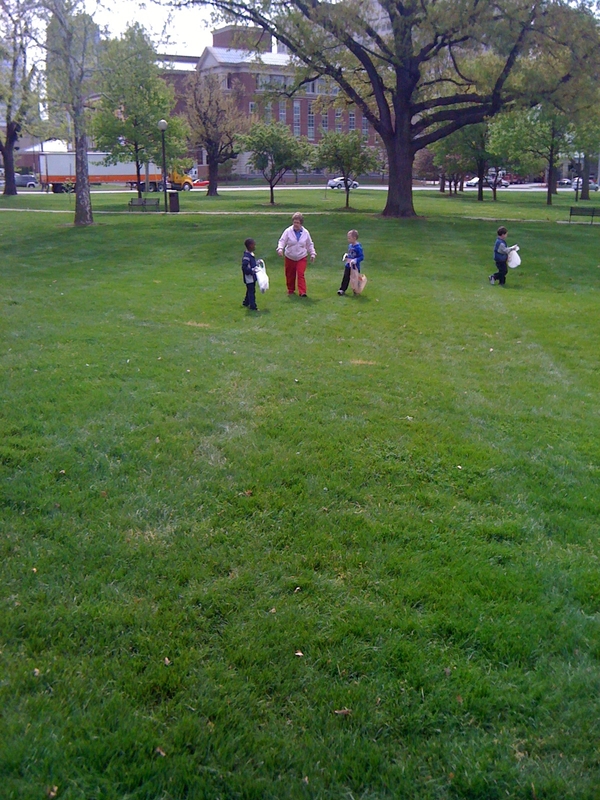 Special thanks today to Day Nursery Indiana State Government Center teacher Toni Hayward for going the extra mile to share these pictures with us when the PreK class, accompanied by lead teacher Tim Tegarden and Day Nursery Director of Center Administration Patty Fisher, walked over to Military Park to pick up trash. 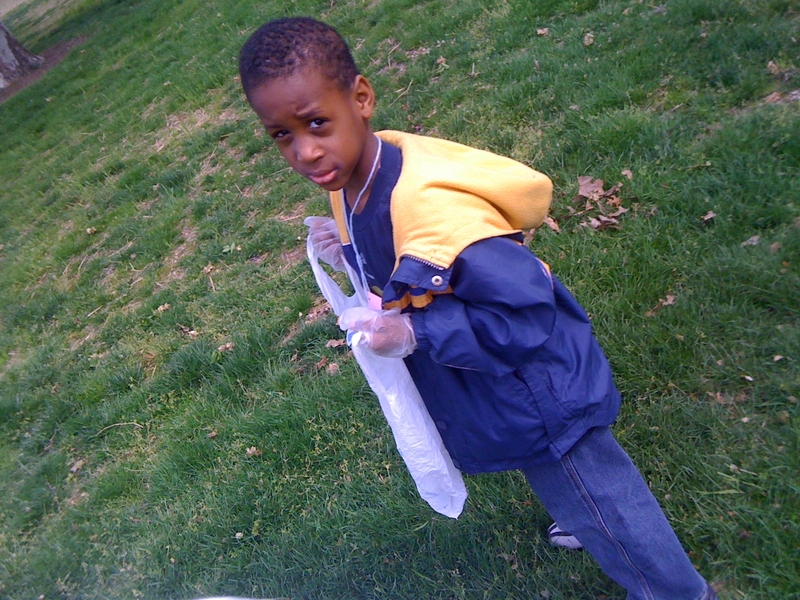 We are happy to report that they didn’t find much trash to pick up, but they did have a lot of fun running around the park! Last week the children and parents of the Preschool 1 classroom at the Day Nursery Hendricks County Early Care and Education Center in Avon collected and brought in items that could be recycled. The teachers and children discussed how using recycled materials help our earth. 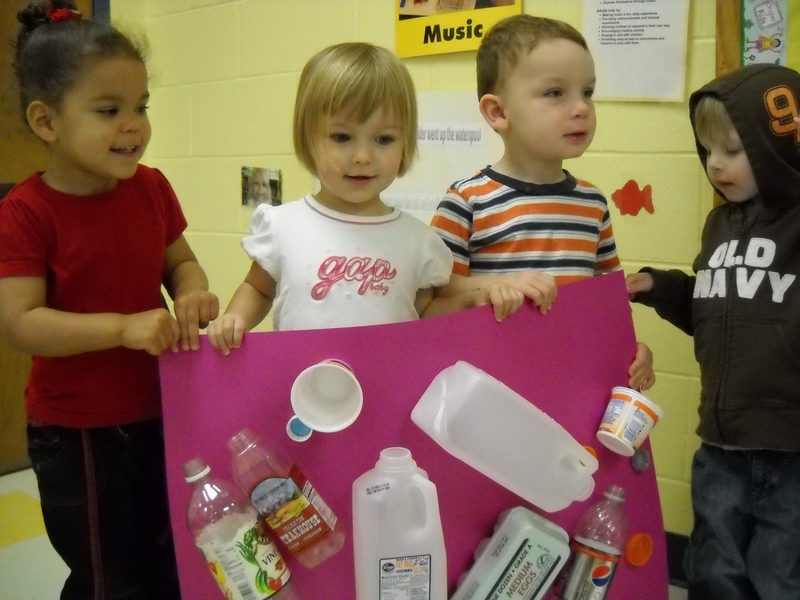 They sorted the materials and made a poster to illustrate items that could be recycled. Thanks to Center Director Joy McCall for sharing their pictures with us. This is the recycling center created by the three year olds. The sensory table was turned into a flower garden. Sampling the “dirt” pudding was the best part! The earth has lots of oceans to paint blue. The “earth” is dry so now it is time to paint it. 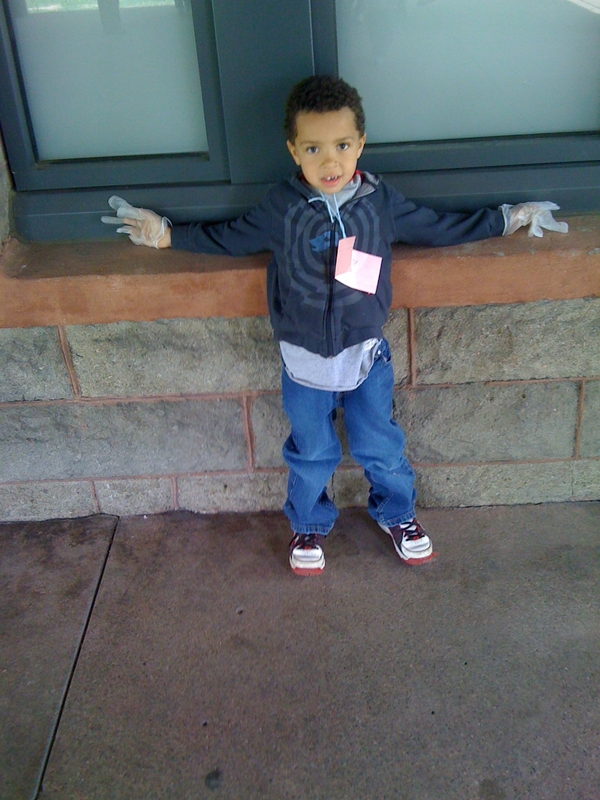 Day Nursery students spent last week focusing on our earth and how to care for it. They planted gardens, picked up trash, sorted items for recycling and made a model of the Earth. 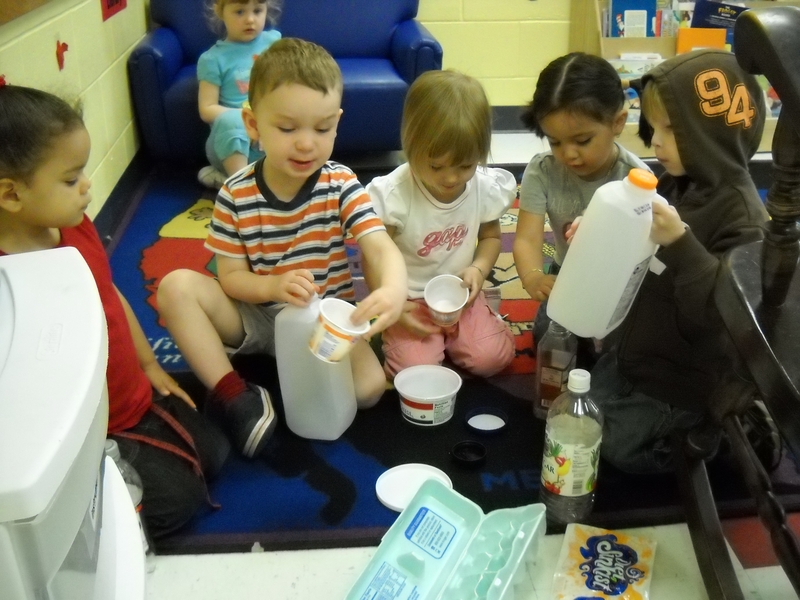 Here’s a sampling of the Day Nursery Earth Week activities at our Day Nursery Ruth A. Lilly Center. Thanks to teachers Miss Sarah and Miss Caroline for sharing pictures of their three-year-olds in action. Families, staff and friends of Day Nursery are invited to participate in the Walking for Dreams Charity Walk. 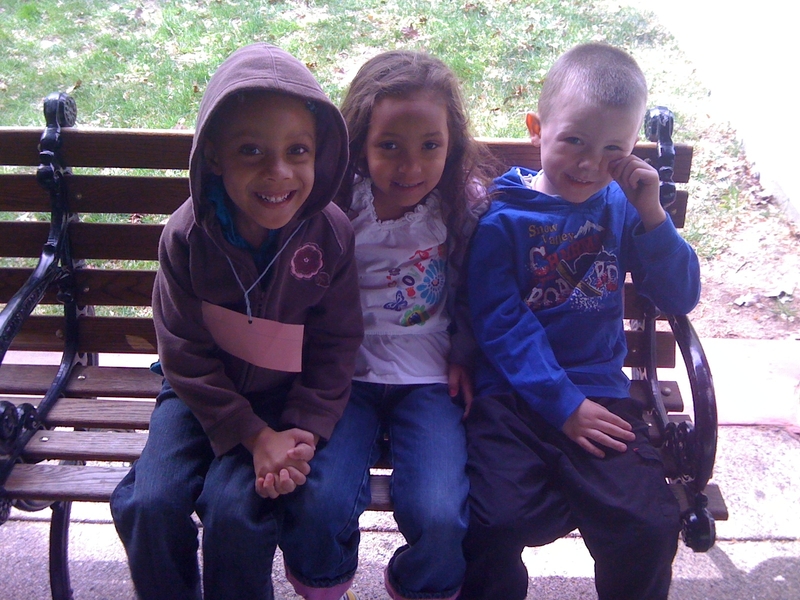 Developed by the Sycamore Foundation, this (approximately) 5K family and pet walk began in 2004 to help local Indianapolis non-profit organizations raise money to serve the children and families in our community. 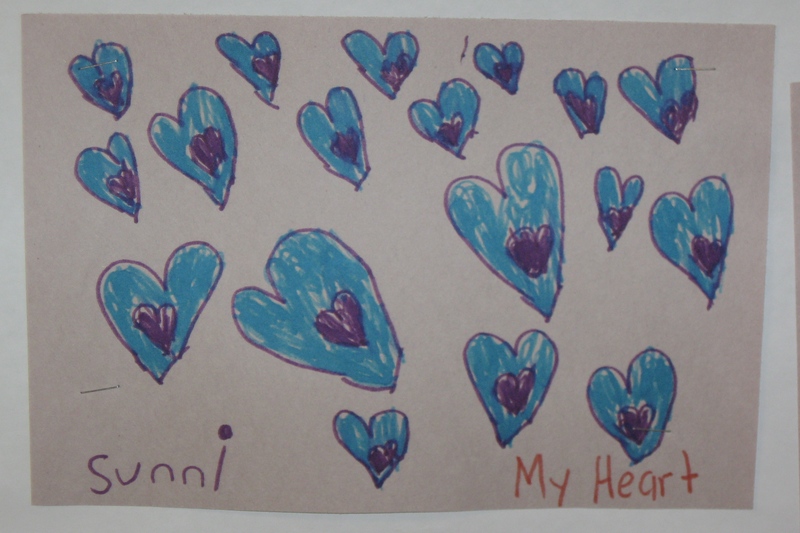 Day Nursery understands the importance of providing an enriching experience to all the children in our centers and is reaching out to our parents and the community to help fund arts education programs for our children. By registering and collecting pledges for this walk, you will directly impact the lives of the children we serve. Plus, you’ll have a great time walking with your family and friends (including the furry ones) along the Canal on a beautiful day. Thanks to our partners at AGIS, every registration comes with one complimentary t-shirt. 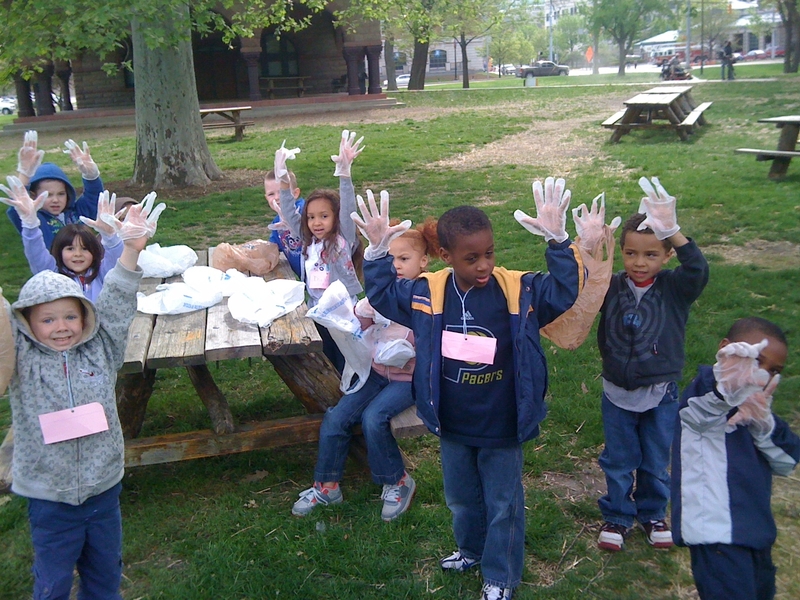 Please pick up a registration form at any Day Nursery center or visit www.walkingfordreams.org and register to walk for Team Day Nursery plus make an additional donation to support arts education for the children. When: Sunday, May 23, 2010. Check in begins at 1 pm. Walk begins at 2 pm. Where: Downtown on the Canal at Buggs Temple, 337 W. 11th Street, Indianapolis. Cost: $20 registration fee, includes one complimentary t-shirt. Walkers are encouraged to solicit for pledges. For more information, please call or Email Beth in the Day Nursery Development Office at (317) 636-9197, ext. 240.